Searching for a Software Solution for Your Family Office or Personal Wealth Management? 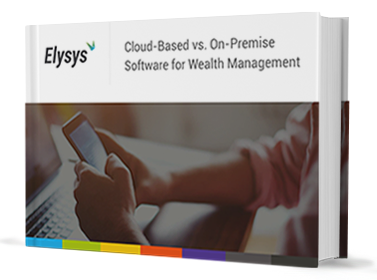 If you require a software solution that meets your financial computing and wealth management needs, your first consideration is often whether to go with a Cloud-based software or an On-premise installation. This eBook will help you understand the fundamentals of Cloud-based computing in comparison with an On-premise option. Cloud-based or On-Premise, each option comes with its own set of benefits and challenges. Make sure you choose the best fit for your Financial Accounting and Wealth Management needs. Please complete the form on your right to qualify for the free download.